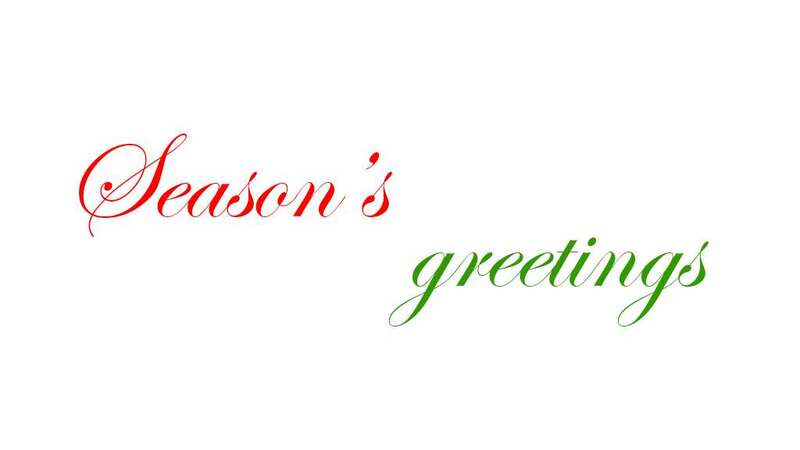 Season’s greetings from us all at Asian Arts Agency. 2017 has been an exciting year and we would like to say a huge thank you to all our supporters, our audiences and of course, all the artists we have worked with in 2017. From international showcasing of the talented Roopa Panesar and trio in a snowy New York in January, a UK tour with Qawwali group Rizwan-Muazzam in March; to a busy summer featuring our new international project, PunjabTronix (debut tour), and Canada’s Delhi 2 Dublin UK tour, culminating with 3 shows at Glastonbury Festival. In September we completed a successful USA tour with Roopa Panesar, programmed autumn concerts with Debasmita Bhattacharya and Malkit Singh in Bristol, not to mention all the additional programming, schools workshops and online content in between…all in all we have reached more audiences than ever in 2017! From qawwali and bhangra to electronica and Punjabi folk. Check out the highlights below and revisit 2017. 2017 kicked off with Roopa Panesar, one of the finest sitar players on the Indian music scene, showcasing in New York with 4 concerts. Roopa was accompanied by percussionist Pirashanna Thevarajah and tabla player Nitin Mitta. The success and momentum generated from these showcasing concerts enabled us to book a USA tour for the Trio in September. Nephews of legendary Pakistani Qawwali singer Ustad Nusrat Fateh Ali Khan, Rizwan-Muazzam, paid tribute to their iconic uncle in March 2017, on a UK tour that marked the 20th anniversary of since his passing. The tour was a huge success with sell out shows, including the Barbican Centre, London, and wonderful receptions from audiences around the country. In June we brought the fabulous Delhi 2 Dublin back to the UK for some special concerts. Fusing Celtic and Bhangra roots with dance beats, dub, reggae, rock and electronica, this band really know how to throw a party. The tour ended with 3 shows at the biggest festival of them all…Glastonbury! PunjabTronix, our new international project, featuring British-Asian electronic music producer Swami and the finest musicians from Punjab, toured to 7 UK venues in July 2017. Venues included Bristol’s Arnolfini, London’s Rich Mix and Mac Birmingham. To mark the 70th anniversary of Indian Independence, we worked with Canvas Arts to produce a special film around the PunjabTronix track Partitions. BBC Arts featured Partitions and described the video as “telling an inspiring British Asian story”. The music video focussed on Southall in London and showcases the thriving Punjabi community who live there. 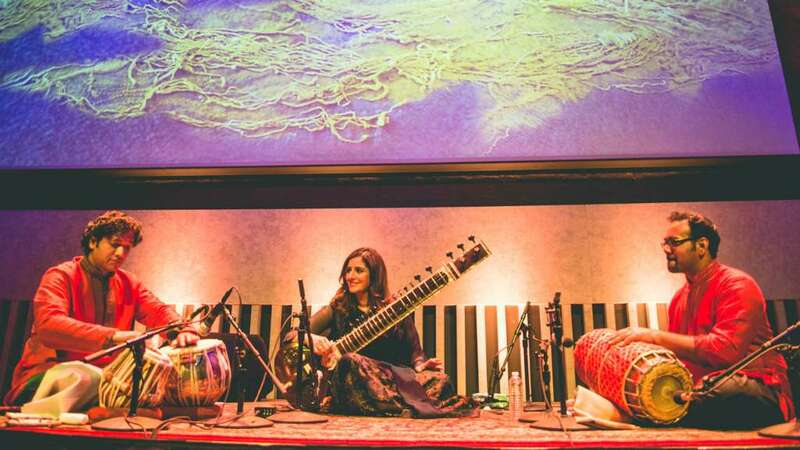 Roopa Panesar’s USA tour in September 2017 got off to a smashing start with a full house at New York’s iconic Lincoln Center! The tour consisted of six performances and three workshops. Venues included “World Music Festival Chicago” and “Ramapo College” in New Jersey. 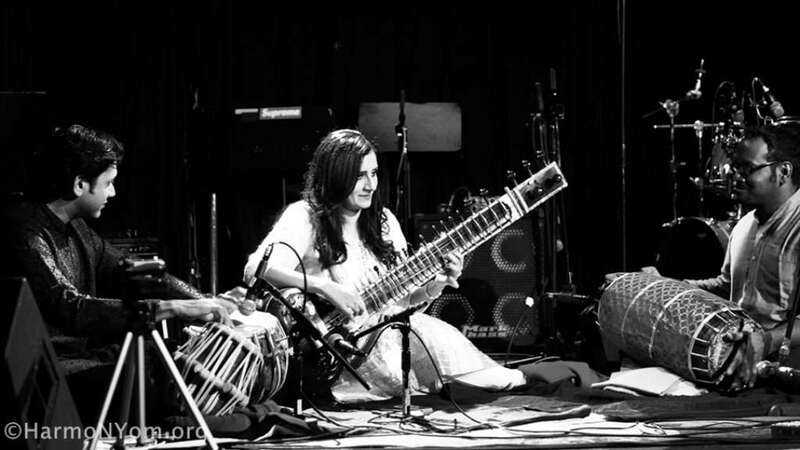 Roopa once again collaborated with percussionist Pirashanna Thevaraja and tabla player Nitin Mitta. Rising Sarod star Debasmita Bhattacharya mesmerised the audience at St George’s, Bristol in October. Debasmita was accompanied by Gurdain Rayatt, one of the finest young tabla players in the UK. Watch Debasmita peform “Raag Misra Bhairavi” below and read our exclusive interview here. We ended the year with the ultimate Bhangra party with none other than the King of Bhangra, Malkit Singh. St George’s Bristol was the venue for this perfect pre-Christmas party in December. It was impossible not to dance! 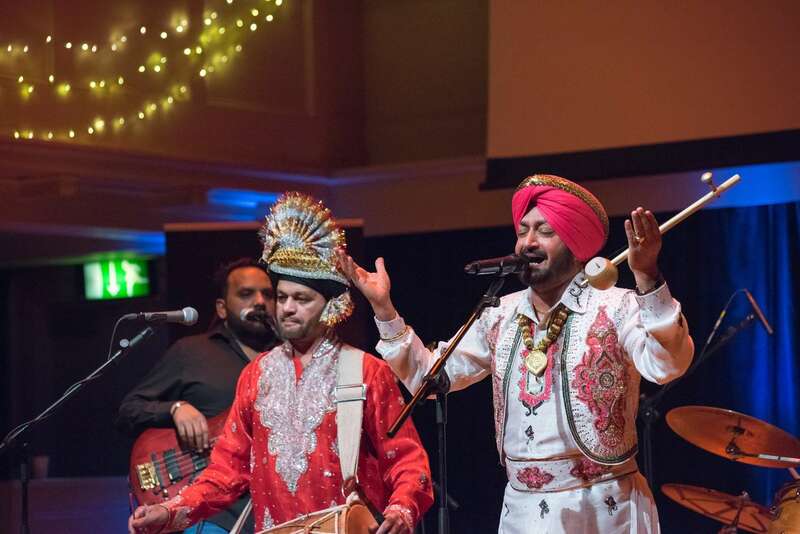 Announced so far for 2018, we are producing two UK concert dates with the incredible Bollywood and Sufi singer Harshdeep Kaur in March – go here for info and tickets. We’ve got many more exciting projects planned for 2018, which we hope to announce in the New Year. For now, we hope you have a lovely, relaxing holiday season and we look forward to seeing you in 2018.